It’s been a long time coming, but the third instalment of our Golf project is finally here! Of course, who says that you need to have a purpose or goal? Maybe you can just build stuff for the sake of it to keep yourself amused, and do things how you want. Builds are, after all, personal, right? I recall many moons ago getting tired and bored of building cars that I thought other people would be interested in, or would expect me to make. I refuse to do that again just to be a good marketing tool for a brand, as nothing pure or honest comes from something that’s manufactured in every sense. Building a car should never be a chore. So, with this build, there are no constraints and nothing holding me back from creating something as crazy as possible. 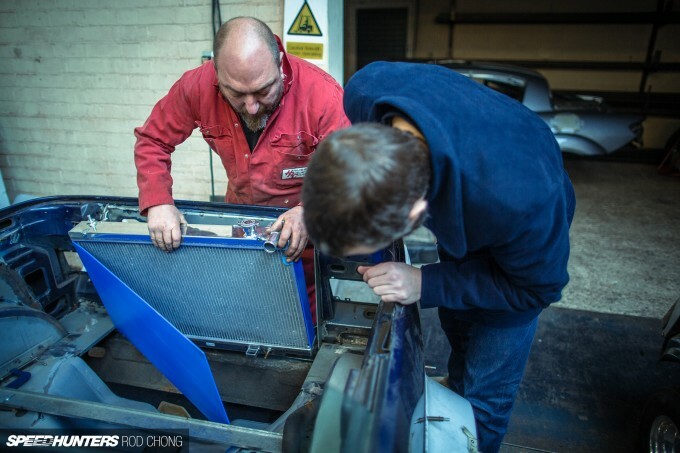 In the image above, you can see us discussing a new complex airbox that is fed from the underside of the car. It doesn’t need it – on that we are all agreed – but I like the idea of having one, so we are. That there says it all, doesn’t it? Getting back on point, this update is all about… updates. Or more specifically, the things we have been busy with over the past couple of months after the car building inconvenience of the holidays was thrown in the mix. First up is the decision to mount the radiator in the space that used to house a bootlid. As I have some interesting things planned for the front end, it made perfect sense to put the radiator here, build some ducting under the car and at the same time increase the volume of coolant in the system. 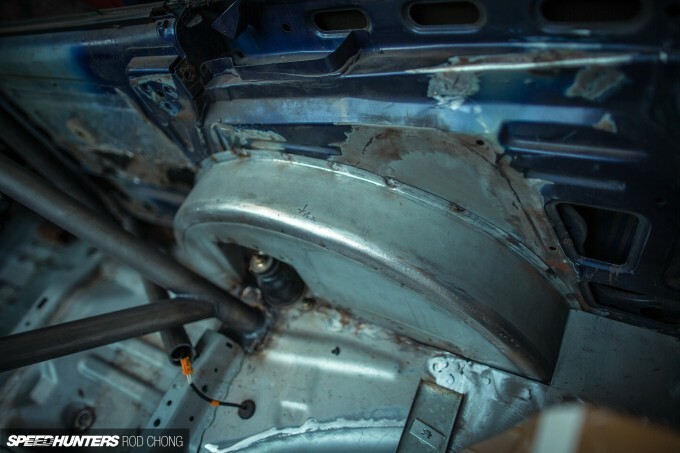 Plus, as suggested by fellow Speedhunters Pedey and Taryn on a previous visit to see the car, a couple of big cooling fans can be mounted on the outside for a bit of a dirty mechanical look to the rear. I’m sold and Team Tardey can forever say, ‘that was our idea’. When I first started this project I asked if there were companies that wanted to get involved and help out with some parts. As usual, the first to jump out and offer was Ravi at CSF. What these guys can’t make isn’t worth making, but I didn’t want to be a pain, and considering all the fab work we are doing I sent Ravi some rough dimensions of the space and asked for the closest off-the-shelf item he could muster. The result? 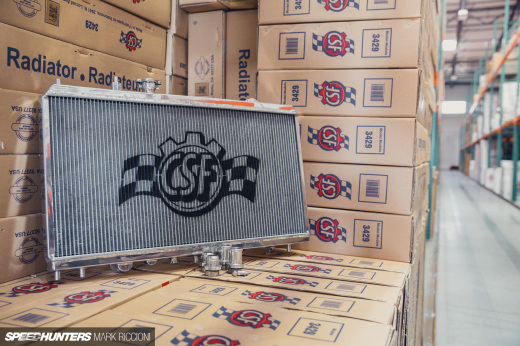 A few days later he shipped one from the US – an Acura performance radiator. Ace! I don’t want to start thinking about a VW, Honda, Acura mash-up as my brain hurts, and I am sure it’s not the last mutant part we will install, but I’m very happy with what he sent and how good it will work for us. This thing is exactly what your normal customer gets – nothing special for Speedhunters – just an off-the-peg item suitable for our needs. If anything, it’s overkill as it’s massive, but that’s just what you want for a tuned car, right? He even chucked in an additional filler neck too, but we are not quite decided on whether we will use it just yet. Cheers Ravi! 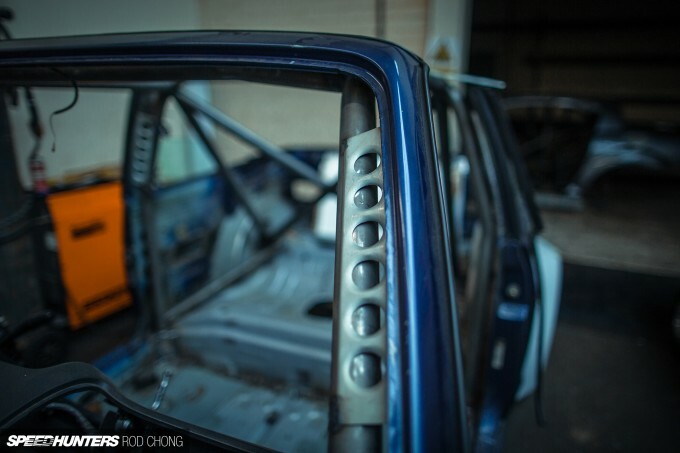 Here comes the issue though – I’m 6’2″ tall, and on top of the dash swap our little Civic floor has been shortened and narrowed, and the rollcage installed with a completely different seating arrangement. 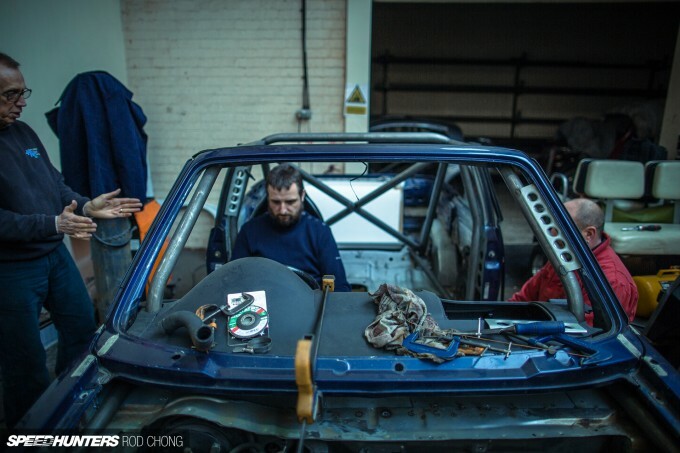 Our challenge was to find a suitable and comfortable position for me to drive the thing – all of which has to be decided before the final welding takes place. Critical times indeed. In this picture, not only can you make out the sheer scale of my nose, side on, but also you can see me holding the steering wheel on an imaginary steering column while the boys at Hauser measure it up for fabricating in that spot later. Then more issues, as the car is not as wide, the cage is closer, the steering closer, my head closer to the cage without a helmet, and the seat position is dictating the bend in my legs for the pedals. Here, Geof is holding the side cross-bar and we are trying to get it into a position where my elbow doesn’t hit the cage upon turning my imaginary steering column. We adjust the seat back and forth, the rake of the seat, the tube height, the steering length, the pedals and my vision over the dash and out the front window. We finally got a setup that means that I think I can drive it some distance without feeling like a piece of origami, although I may have to trim the beard as it’s a bit busy in there. Also important at this stage – seat choice. Easy, right? Not when you have a convertible without windows and you live in one of the wettest countries on earth and it’s probable that the interior will get rained on or damp at the very least. 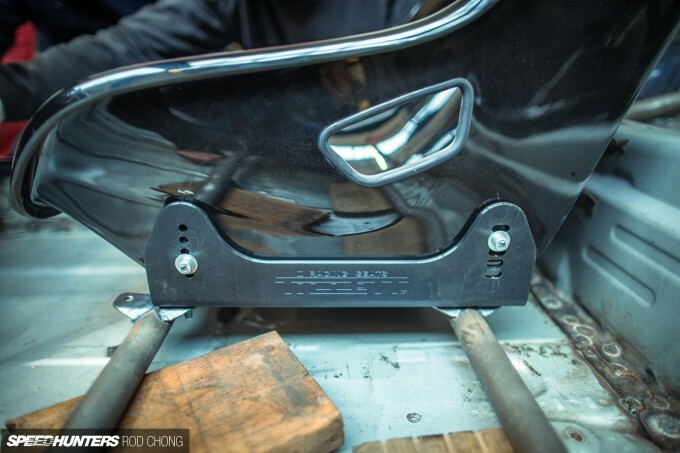 Luckily I remembered something – the guys at Tillett make seats without padding and covers! 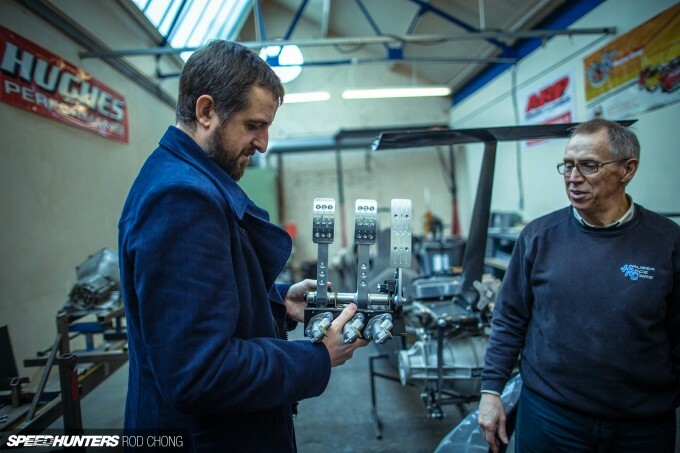 After a couple of random-punter emails and a quick call by phone, I found myself talking to Steve Tillett at his factory and working out which seat in his range would be most suitable. I finally settled on a model and also picked up these rather nice seat mounts to go with them. I bought two seats, as I plan on having passengers, and Tillett were kind enough to do me a special price on them. Cheers Steve! 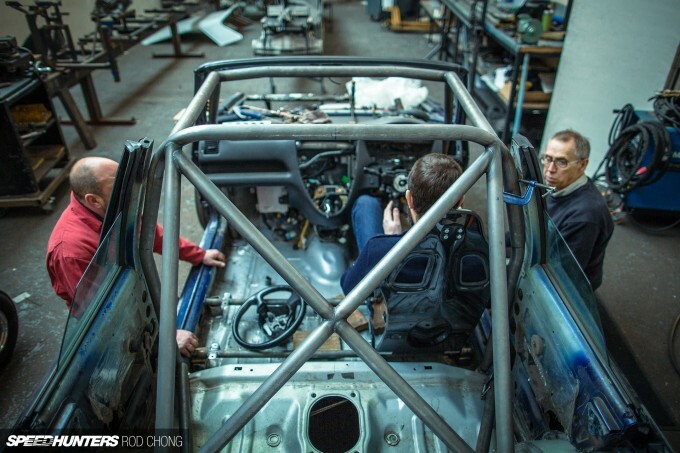 The seats mount to the lower fabricated section of the cage which runs along the floor of the car, so we can have some good adjustment in seating positions later on. These ears were made by Hauser – they didn’t come with the seats. Here you can see a teaser of the seats I chose. 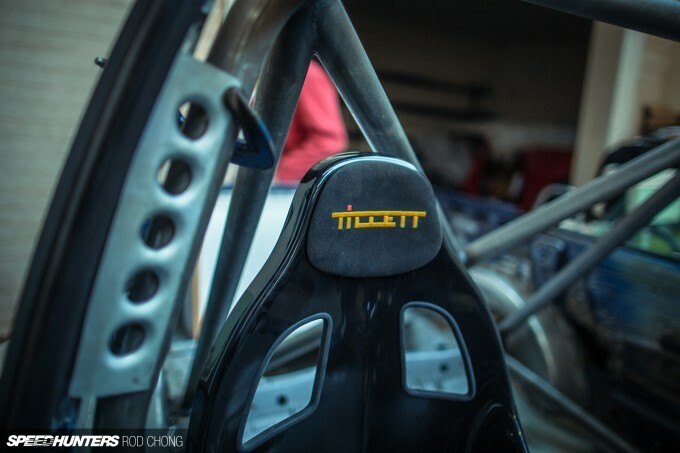 I will show you more in a later build story as this seat was just a test mule and doesn’t give credit to how nice they really are… Tillett is a household name in karting and found in some OEM cars too, like Caterhams. Profoundly, they are only 15 minutes down the road from me, which was ultra-convenient. But this is the first time I’ve bought or even used their seats. Jonathan needs to get down there and show you how they make them, which is entirely in house. Mine are FIA homologated versions, by the way. I mentioned pedals before, right? This was literally a pivotal moment and decision in the ergonomic processes I faced. This car will be a serious bit of kit and as such we need an adjustable pedal box. We have some real space and bulkhead issues on this car, and if I’m honest, we were a bit lost for a solution at a decent price. Then, at the Autosport show in January, I was walking through the halls and a set of pedals stopped me in my tracks. The very thing I needed was looking back at me. OBP are a UK firm and they produce some pretty trick pedal boxes, but the one I was interested in was this one, as it’s ideal for us. It has the master cylinders facing backwards and a very shallow back past the pedals. It’s a lovely bit of kit too – CNC pedals and some superb precision engineering. The fact that they are made here in the UK makes me like them even more. We had to tinker around to get them in the right position for my gangly legs, but once we did I was very pleased with them. 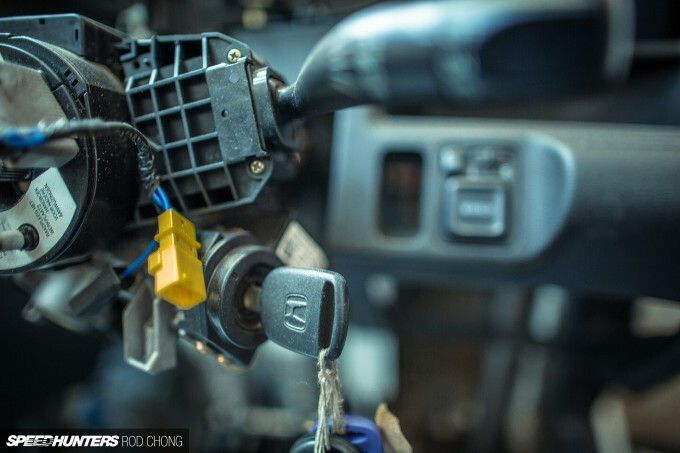 This is a major thing to get right – ensuring the pedals match the seating position, the central plumb of the steering versus the brake pedal, and the list goes on with many variables to get right. 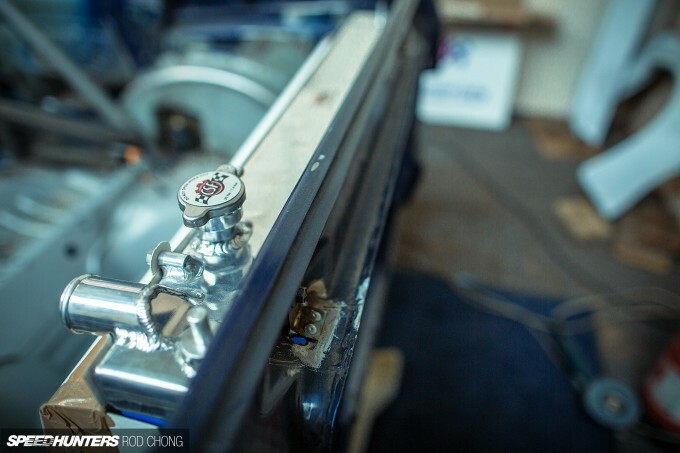 We also have some remote reservoirs to be fitted in the engine bay, which I will show you next time, along with more detailed pictures of the pedal box itself once it’s all mounted. 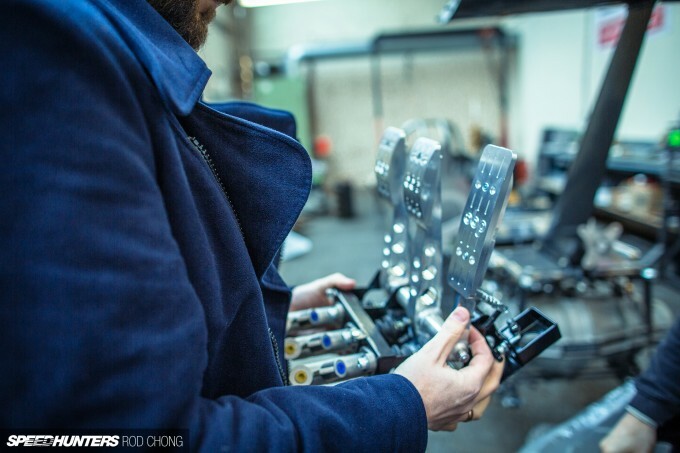 If you are in the market for a set of pedals that are great quality but don’t cost the earth, OBP are your guys – check them out. Considering I got exactly what I needed after searching the usual suspects without luck, they were kind enough to offer them for free for our project, as they’re big fans of Speedhunters. It goes to show the kind of guys they are – they are very much ‘watch this space’ for the future, and I’m impressed so far. After the seat fitting we started to look at details and talk about the next steps. I made myself feel better by pretending I knew what I was talking about with what I wanted, when in truth I make more decisions each time I visit the car. This is much to the amusement and dismay of Geof who is always waiting for my next ‘it will be easy to do’ comment, knowing that it’s probably a days work for one of his guys. 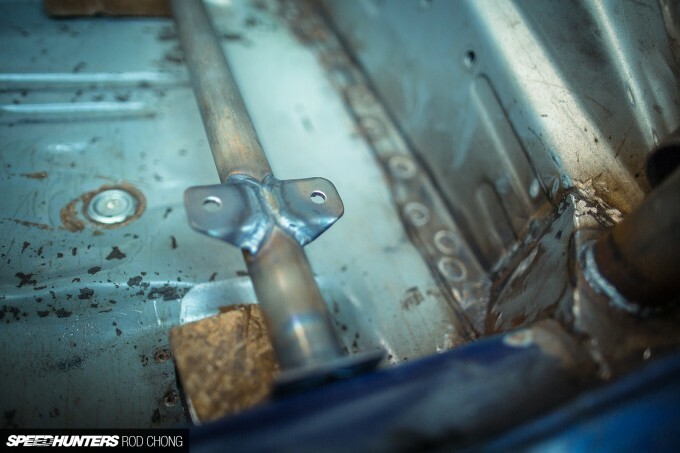 While I talked, Rod, who was in town that week and my travel buddy/Speedhunters snapper for the day, got to taking pictures of metal objects to show his well manicured hands – as evident in this picture of the proposed gussets that were yet to be welded in place. Soon afterwards a whole conversation on gusseting ensued and decisions were made. 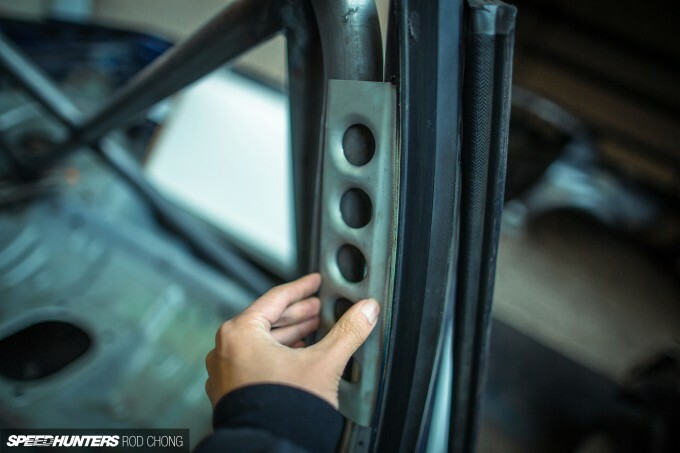 Here the rear wheel arch can be seen – one of the many items of fabrication to join the Golf to the Civic. The standard suspension remains at present, but it’s soon to replaced by something quite trick. Gussets? After the gusseting conversation, we decided that we didn’t like the style of these. While fit for purpose, when you stepped back to look at the car from the front, these pieces became important and a different approach was taken. This picture is crying out for a photo caption competition. Shortly afterwards we left the shop, leaving behind a list of items to be started, finished and altered so that next time I see the car, we will have a full chassis and work on the engine and running gear can be started. I have missed a ton of little things the boys have been busy with, but we’ll cover a chunk of them next time when I have the car back in my hands. One thing to be noted, my never-ending and vocabulary-lacking comments to Hauser of ‘just blob that on there’, or ‘snot that into place’ when referring to their intricate and precision craftsmanship is – not their favourite. But they know what I mean – I hope. I also know that each time I blurt out something along those lines, they want to a poke a finger in my eye and swish it around a little – that I am sure of! Yes I've been waiting for this update! I can't wait for the final product! Good luck with the build. So far this looks amazing and I can't wait to see the final product. You guys are obviously working hard, keep it going!! I was kind of expecting to see rear-facing seats like in a Subaru Brat! I'm diggin where its going so far, can't wait to see the final product. "Of course, who says that you need to have a purpose or goal?" The internet! And it's loud and angry. This build is cool, can't believe I am just now catching up on it. i love this build we need more build threads , does anyone know how the gt3 mg build is doing? Preludacris we can dream, right? Though I can't really see any venues allowing caged cars with exposed, rear-facing passengers hanging off the back on a hot track!! Fantastic work! 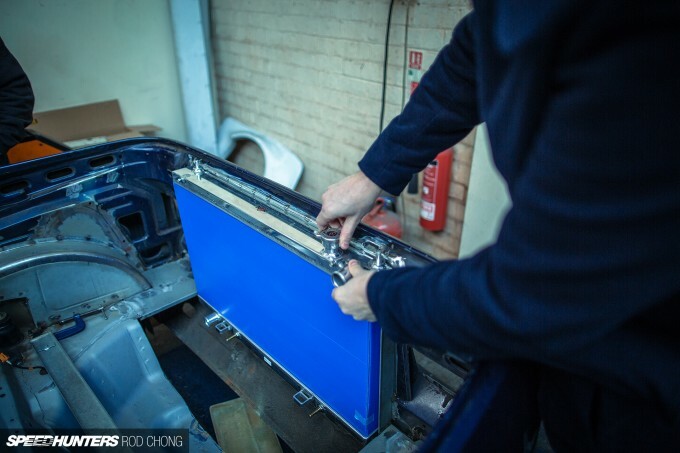 My Dad and i have been (very slowly) building a mid engined mk1 cab for a few years, and we put the rad in exactly the same place! As arrogant as this sounds, why anyone would ever use anything but Miller (pictured) or Lincoln welders is beyond me. That's probably the best welding I've seen across the pond even with all the crazy Scandanavian builds. Love the concept of this build! Because there are other equally terrific units produced elsewhere. Like most things, the tool is only as good as the skill level of the person using it.